Researchers from the University of Copenhagen have discovered autoreactive cells in persons suffering from narcolepsy. This is a new, important proof that the sleep disorder is an autoimmune disease. This knowledge may lead to better treatment of the chronic condition, the researchers behind the new discovery believe. For many years, scientists have suspected that the sleep disorder narcolepsy is an autoimmune disease, though without being able to prove it conclusively. Now, researchers from the Faculty of Health and Medical Sciences at the University of Copenhagen, together with the Technical University of Denmark and Rigshospitalet, have found a new, important proof that their presumptions were correct. The new research results were on February 19, 2019 in Nature Communications. The open-access article is titled “CD8+ T Cells from Patients with Narcolepsy and Healthy Controls Recognize Hypocretin Neuron-Specific Antigens.” “We have found autoreactive cytotoxic CD8 T cells in the blood of narcolepsy patients. That is, the cells recognize the neurons that produce hypocretin, which regulates a person's waking state. It does not prove that they are the CD8 T cells are the ones that killed the neurons, but it is an important step forward. 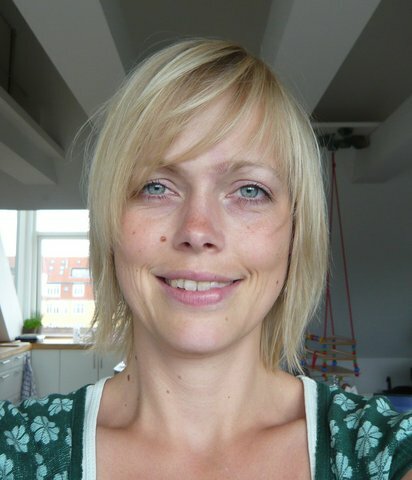 Now we know what the cells are after,” says the article’s senior author, Associate Professor Birgitte Rahbek Kornum (photo), PhD, from the Department of Neuroscience at the University of Copenhagen. The immune system is designed to recognize viruses and bacteria. When its cells are autoreactive - which is the case in autoimmune diseases - the immune system recognizes the body's own cells as foreign and attacks them. That the immunr cells are cytotoxic means that they are capable of killing other cells. In most narcolepsy patients, the neurons that produce hypocretin, and thus regulate our waking state, have been destroyed. “To kill other cells, e.g., neurons producing hypocretin, CD4 and CD8 T cells usually have to work together. In 2018, scientists discovered autoreactive CD4 T cells in narcolepsy patients. This was really the first proof that narcolepsy is in fact an autoimmune disease. Now, we have provided more, important proof: that CD8 T cells are autoreactive too,” says Dr. Kornum. In the study, the researchers studied and analyzed blood samples from 20 persons with narcolepsy. In addition, they analyzed blood samples from a control group of 52 healthy persons. In nearly all 20 narcolepsy patients, the researchers found autoreactive CD8 T cells. But autoreactivity was not only found in persons suffering from the sleep disorder. The researchers also discovered autoreactive cells in a number of the healthy individuals. “We also found autoreactive cells in some of the healthy individuals, but here the cells probably have not been activated. It is something we see more and more often with autoimmunity - that it lies dormant in all of us, but is not activated in everyone. The next big puzzle is learning what activates them,” says Dr. Kornum. According to Dr. Kornum, the discovery of autoreactive cells in healthy individuals also stresses the theory that something has to trigger narcolepsy and activate autoreactivity. Scientists still do not know what causes the disease. They suspect a combination of genetics, autoreactive cells, and a form of trigger to bring about the disease, e.g., a virus infection. The disease can be treated medically today, but the new research results may pave the way for even better treatments. “Now, there will probably be more focus on trying to treat narcolepsy with drugs allaying the immune system. This has already been attempted, though, because the hypothesis that it [narcolepsy] is an autoimmune disease has existed for many years. But now that we know that it is T cell-driven, we can begin to target and make immune treatments even more effective and precise,” says Dr. Kornum. There are two types of narcolepsy. People suffering from type 1 narcolepsy, which is the most common form, lack the transmitter substance hypocretin, which regulates the waking state, and they suffer from cataplexy which is brief loss of muscle control. Persons with type 2 narcolepsy do not lack hypocretin and do not suffer from cataplexy. Still, they experience the same symptoms as type 1 patients. In this study, the researchers focused on type 1 narcolepsy.